Looking for a workout that feels more like a party? Then it’s time to check out Zumba—the energetic, fun fitness workout that was created by a Colombian dancer in the 90s and quickly became one of the most popular fitness classes in the world. If you’re ready for a full-body, high-energy workout, here are the 10 best Zumba classes in Nebraska. Anytime Fitness in Papillion is on a mission to help everyone get to a healthier place through their variety of classes, including Zumba. The trainers here are very energetic and will push you to be the best you can be through these Zumba classes. 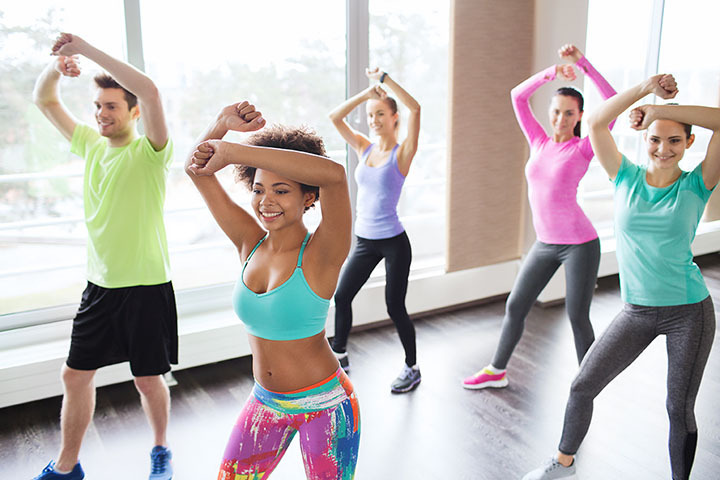 Goodyear Fitness Center in Lincoln helps everyone live a healthier life by offering a variety of classes, including Zumba, for all fitness levels. The music will have you moving and breaking a sweat while you get in a full-body workout. Prairie Life Fitness offers dynamic Zumba classes that will whip you into shape in no time at all. What better way to love working out than by turning it into a party with a combination of dancing and aerobics? As Kearney’s first and only donation-based fitness studio, K-Town Shakedown allows gym goers to come to any class they want and pay only what they can. Drop in for a 60-minute Zumba class and leave with boosted energy and a serious dose of awesomeness. Take your average, redundant workout routine to the next level at Fusion Fitness. This popular spot in Lincoln, formerly known as Zumba with Brenda, provides fun fitness workouts that can help you burn some serious calories. Get your daily dose of cardio with a Latin American-inspired Zumba class at West O Fitness in Omaha. Not only will you improve your agility and balance but you’ll also pick up a few sweet new dance moves. Located in beautiful Bellevue, Fitssentials offers a premier lineup of classes that fit all styles and fitness levels. Their Zumba Fitness classes encompass Salsa, Merengue, Cumbia and a variety of other Latin-inspired moves to give you the best workout possible. Simply Ballroom in Omaha specializes in providing a wide variety of dance lessons, including Zumba classes. Join a highly-trained instructor for your weekly challenging, but rewarding, workout. Total Body Infusion is one of the only studios in Lincoln completely dedicated to Zumba. Each class features a high-energy cardio workout paired with targeted exercises to create a dance fitness-party. Whether you’re looking to shed a few pounds, or just cover the basics, Life Time Fitness offers Zumba classes for both needs. With fantastic instructors, you can be certain these Zumba classes are as effective as they are fun.